Bullbuster In Action: Yellowfin Tuna Acting Like A Shark In Miami. Sunday it was a nice calm day so we decided to grab the family and go out for a family day. 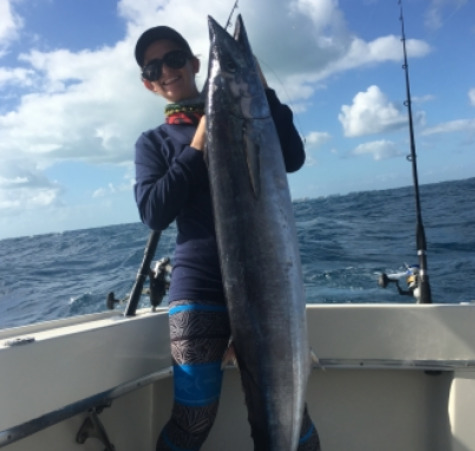 We got out just south of fowie rocks light and put out our kite and a couple of flat lines, first we caught a nice barracuda which did a high jump on our left short. I picked up the rod and fought him for about 15-20 minutes and we got him along side the boat and gagged him. 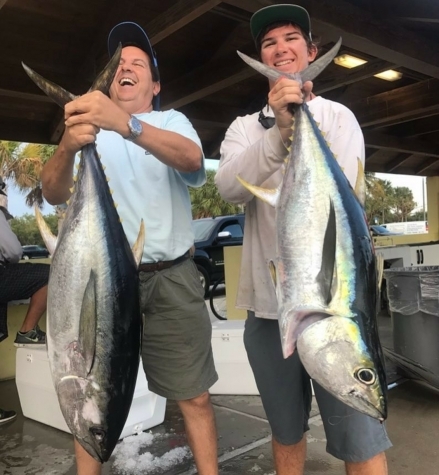 Check out more by L&H Sportfishing.